Sometimes you buy a watch, fall in love with it, and then lose interest. It happens. Maybe the metal band has dulled or the strap’s been roughed out. Not to worry. Watch bands are meant to be replaced over time. 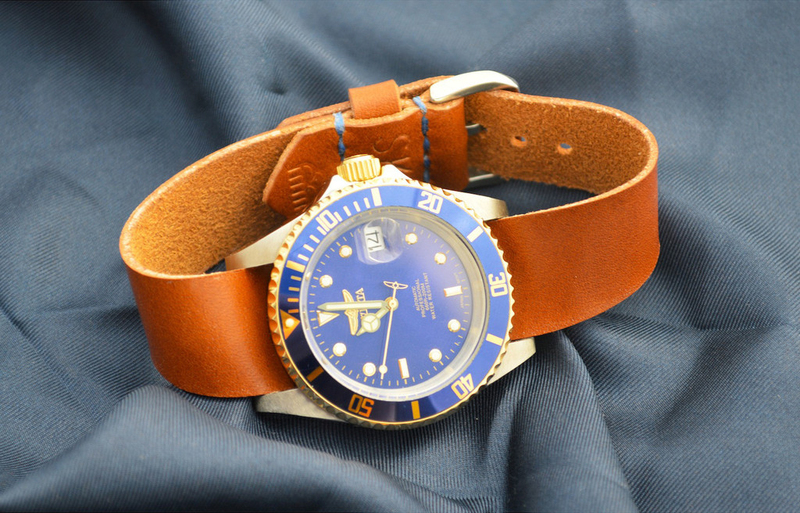 Cloud Sky Leatherworks sells a number of leather straps made from Horween leather that come with punchy threads to really give an aging watch a new look. You simply tell them your watch strap width (16-22mm), pick a leather (six options), choose a style (one-piece or two-piece), choose a thread color (nine in all) and decide on a buckle color (three styles) and you’re ready to place your order. As a bonus, Cloud Sky Leatherworks will even throw in a monogram for free. Prices are reasonable, too, starting at $55 for the Chromexcel Blue to $75 for the Shell Cordovan (a dark maroon).